Yesterday we had the great privilege of addressing a roomful of senior social media executives at SocialMedia.org's Leadership Retreat. SocialMedia.org is a "brands-only membership organization for the people running social media at really big companies." It gives these people pure peer-to-peer experiences where they can candidly share their concerns and challenges and chew on issues that affect one or all of them. 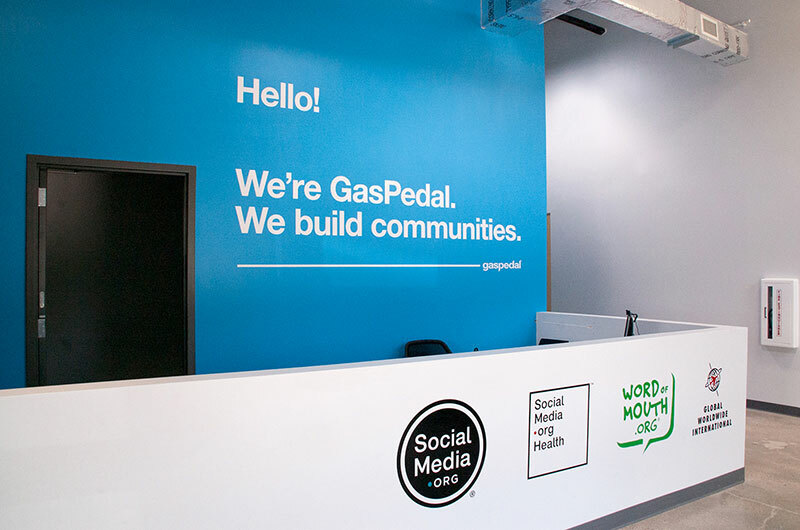 GasPedal is the Austin-based company that hosts SocialMedia.org. GasPedal's CEO, Andy Sernovitz, is a titan of customer community. He invited Zello CEO Bill Moore out to the 44-acre GasPedal Ranch to kick off the second day of the Leadership Retreat. Like most Texans, Andy heard a lot about Zello during Hurricanes Harvey and Irma. He understood the significance of community-based social radio for disaster response, and he was confident his audience would relate to it too. He also understood that brand social media executives would relish war stories about our days-long behind-the-scenes efforts to keep up with 120 new users per second. For an audience of people who are all about engagement, the Zello story was irresistible. I think they enjoyed hearing about a social technology that through grass-roots efforts is used as a crowd-sourced 911 system in South Africa, is perceived as a threat to the state in less-than-democratic societies around the world, and can overnight grow into a well-organized search and rescue operation with tens of thousands of participants. What I hoped would also happen, did in fact occur. The Leadership Retreat participants instinctively understood that voice can be an element of social media. It was clear that Bill's passion for the power and clarity and authenticity of voice communication was widely shared in the room. Our hats are off to Andy Sernovitz and the team at GasPedal. They are an outstanding example of an Austin company, and they are doing really innovative and valuable work. And we're grateful for the opportunity to share our passions and experiences with such an impressive audience. What does it all mean? How is a Zello public channel with 30,000 members like an online brand community? How is it different? As always, share any thoughts you have below.